We've temporarily disabled the Marketplace in order to perform some feature upgrades and new look. We Feature you - you get promoted! This is one of the bottles of Pingo Doce with Guarana Kick used as set dressing in the Brazilian bottling plant where Bruce Banner worked for while in hiding. How do I get in here?! First of all, have at least ONE picture of the Item you want to upload. We suggest you use good lightning conditions to picture your item, and use a nice resolution (megapixels) which we can later reduce if required. Please use your own images and refrain from using stock pictures or pictures of the same Item taken by someone else. If the Item you're going to upload is also Screenmatched, be sure to have a "screenmatched" picture ready for the upload too. 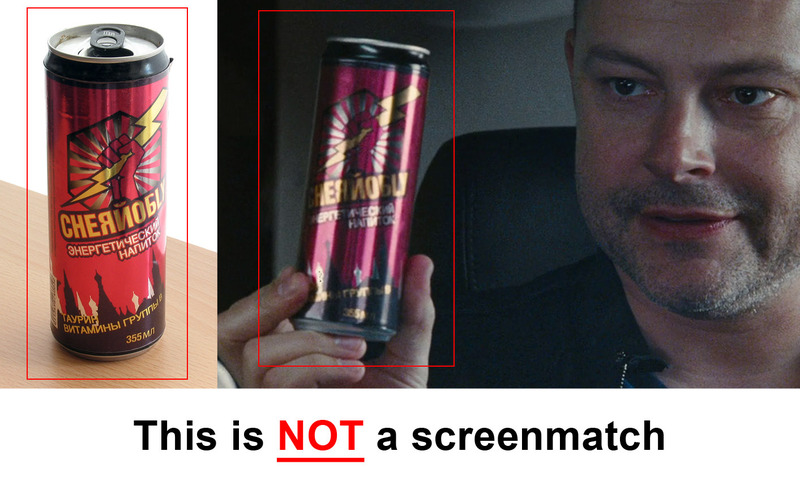 Items tagged as "screenmatched" require at least two pictures: one of the Item and one screengrab of the movie with a clear comparisson of the screenmatch, using circles, arrows, squares or whatever you feel it's cooler to prove its screenmatch. If you're unsure, don't use the Screenmatched feature yet. Once you have the pictures ready in your hard drive, fill in the Add Item form with your Item's title or name, the movie it belongs to (or choose the "Other" option and fill in the required movie name if you don't find it in the built-in list), the type of Item you're uploading and a description. Use as many text as you want to describe your Item. PROPbay's audience LOVE to read stories about how you got the Item, how did you screenmatch it, how do you display it, etc. Feel free also to use text formatting and colors to enrich user's experience visitin your Item's page. Each Item has its own history and it deserves good display! Finally, use our Image Uploader to upload as many Images as our system allows (system may advice you on specific image amount, resolution and file type and size). Once the form is completed, hit the Submit button and... there you go! Your Item is LIVE! DO REMEMBER: You're the sole responsible for the Items you list on PROPbay.com. Shall you abuse of the system and upload anything that goes against the rules, you may get banned temporarily or permanently from the Site. Thanks for sharing your collection and Welcome to PROPbay.com! Screenmatch: the Ultimate prop/wardrobe experience! Owning props and wardrobe from your favourite films rock, but screenmatching them takes you to the nirvana! Nothing beats the sensation in this hobby when after a few minutes, hours or days you find a match on your grail pieces! PROPbay.com features a specific filter called SCREENMATCH where hobbyists and enthusiasts can quickly filter and find any item screenmatching the one seen on screen. It's a pillar and one of our key features, hence the requirements for an item to be considered screenmatched are VERY strict. In order for your Item submission to be considered a perfect screenmatch, we just need ONE picture, preferably of a bluray scene capture (DVDs are also welcome but HD is way cooler!) showing your Item picture on the particular scene you've screenmatched it, and surrounding the matches using circles, squares or whatever makes you feel better. We need as much resolution images as you can provide, and you can play with your brightness/contrast or even hue controls in your preferred image editing software so we can clearly see your screenmatch. Screenmatch status is just an item "condition". 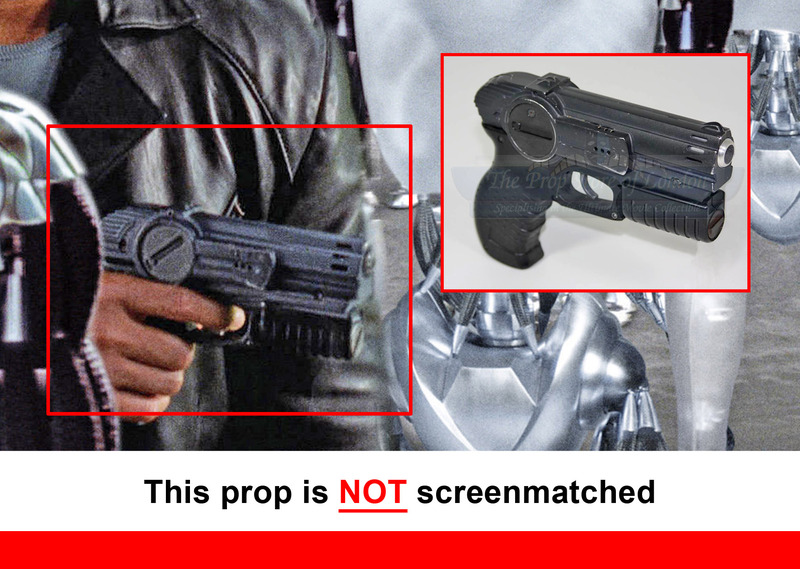 A screenmatch rejection does not mean that the prop is not authentic: PROPbay.com does NOT allow replicas or fakes in its database, so if your prop is kept listed before a reject it's because we understand that it is actually authentic. You need to understand that even one of a kind pieces can't be screenmatched positively sometimes. Most of the time, multiple copies of a prop are created by the art department so production is not halted due to malfunction, failure, loss, steal, etc. To correctly screenmatch a prop, you need to spot and mark weathering, deffects or unique features accordingly, so they help identifying your piece unique from other possible screen used copies or unused backups. 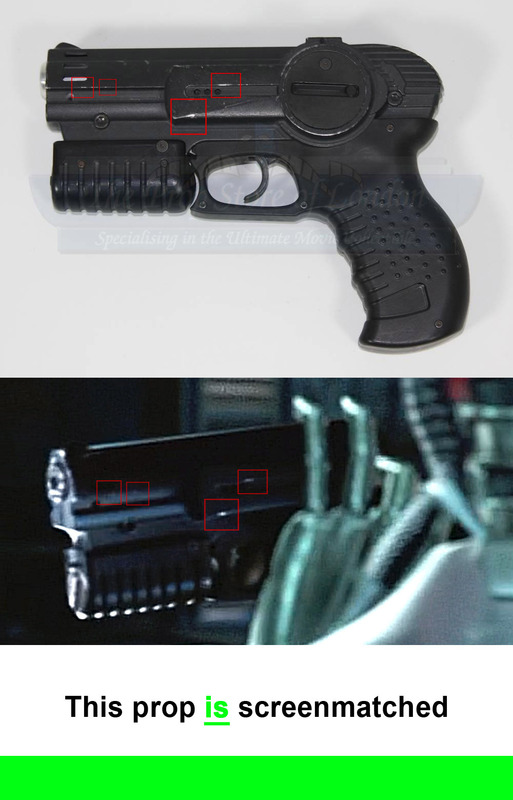 A prop seen on screen exactly as yours, with the same shape and materials but with no visible flaws or weathering can't be considered a "Screenmatch". You need to spot something unique in that prop and match it accordingly to your piece to let others understand they're are seeing the exact same piece. If you own a "one of a kind" hand drawn/written prop or original painting, please write down this fact on the Item description so we can correctly validate it. If a second identical item is uploaded to PROPbay.com at a later date, we may need to remove the "screenmatched" and/or "one of a kind" status from both. Wardrobe with fabric patterns would be accepted as a screenmatch only if the overall placement and their printed features match exactly between the sewn parts. You need to prepare the screenmatch picture(s) using a movie capture and photo editing software, combining your item and the frame of the movie in a single image. Don't use two separate images to tick the markings except if you pretend to showcase two different screenmatches, each one composed with two pictures. And finally make sure that other existing production copies of your Item don't share the same marks used to screenmatch it: sometimes paper props are photocopied and share the same exact details or flaws; sometimes props are pulled from molds sharing the same molding details/defects in every copy; etc. If you still have any doubts, please check the screenmatched filter to see some valid examples. If you are certain that your piece is a match but don't know how to edit images, drop us a message and we will try to assist you but remember that the prop owner is responsible of doing the proper research on their pieces and showcase the results. A weak research or low profile matches will not be accepted. Sometimes, screenmatching a certain piece is impossible, due to the age, damage, external unwanted weathering or any other factors. However, collector has researched Items provenance and (s)he has found out the Item is UNIQUE. No backups, copies, heros or stunts were made, JUST ONE. And that one is the one we see on screen...even if we can't screenmatch it! This is where our "One of a Kind" Filter comes handy: collectors can enable their Items as "One of a Kind" if they know for sure there was only ONE made for the production in question. This filter is UNMODERATED, so user's reputation may be affected if Community finds out (s)he's... well, lying or omitting facts, so we advice you to do propper research before listing an Item as ONE OF A KIND. Feel free to browse already listed One Of a Kind Items in our database for more examples. Buy, Sell, Trade and Auction your Items on PROPbay, for FREE! Collectors of movie props and wardrobe often are in the need of trading their Items or just selling them to acquire new ones. Besides ebay, options are limited, so here comes PROPbay to the rescue! PROPbay.com features an environment where prop and wardrobe Collectors can contact each other and build a reputation in the hobby using our feedback tools: The Marketplace. If you don't own one yet, register a PayPal account now for FREE. Ensure your registered email with us is your primary email address at your PayPal account. Otherwise, please update it accordingly. Ensure your full real name and location in your User Details match the ones in your PayPal confirmed address. Please note that your full real name and location is visible to other approved users of the Marketplace and PROPbay Staff only. Complete a one-time $1 transaction in order for the Staff to verify your data. Click here! Once our Staff reviews your transaction and matches it with your membership, you'll gain access to The Marketplace. Once approved, you just can browse your own list of Items and mark those for Sale/Trade or Auction by filling the required fields accordingly (ie. sale price/starting bid, if you accept trades or not and what would you like to trade if you choose so). Items listed in our Marketplace will automatically have their default "WARNING THIS ITEM IS NOT FOR SALE" notice changed to a link where the sale/auction is taking place. Any other user at PROPbay with Marketplace access may reply to your sale/auction request with their offers. You choose which offer suits you best and once you have spoken with the other partner, you may CLOSE the deal with him/her and leave each other some feedback. You can also Cancel any or all your listings at any time, although we suggest you think twice on it. We keep a count on how many cancelled and completed transactions you have been involved into, and someone with too many Item cancellations may not perform a nice feedback later. Browse The Marketplace for current offerings. Use your means to study what you're getting and from who: check his/her feedback profile, ask for Items' provenance, talk in other prop-related forums, etc. then post your proposal in the thread that was just created with the Item details you were interested in. After a deal is completed, both parties implied can leave feedback on each other on how well (or bad) the experience was, and encourage other users to do the same. You can leave positive, neutral or negative feedback plus a brief sentence on how was your experience, for others to check in the future. Like similar other Marketplaces, we encourage you to think twice before leaving neutral or (specially) negative feedback to someone. Try to work all other options first including but not limited to email, phone calls and such. Once you leave Feedback, it won't be edited! DO REMEMBER: PROPbay takes no part and no liability on ANY of the actual transactions set up on our system. Should any transaction go wrong and fraud is committed, you're required to contact your local/national/federal fraud bureaus and act accordingly. We just give the Marketplace users tools to build a solid reputation and a way to contact other hobbyist to keep their collections growing. Please be Welcome to a new website and service for original movie memorabilia collectors worldwide!! Wether it's a prop, a piece of wardrobe, a production item or a crew gift, here at PROPbay.com we offer you FREE hosting space to showcase your collection and at the same time help you put in contact with other hobbyists with whom you may want to sell, trade, auction or just talk about your/their Items! - List your whole collection online, with gorgeous big pictures, friendly upload manager and unlimited hosting space! - Sell, trade or auction your collection, one item or all of them for FREE! ...and much more to come! Please note PROPbay is only about ORIGINAL movie props, wardrobe, production and crew/promo Items only. We shall remove any replicas or items that do not fall into the above categories. Also, "card type" collectibles including fabrics or prop pieces may not be added to PROPbay.com. So, what are you waiting for? Add your Items to our database now and enjoy! Should you wish to email us any bugs or issues found, please do so through our Contact Us page.